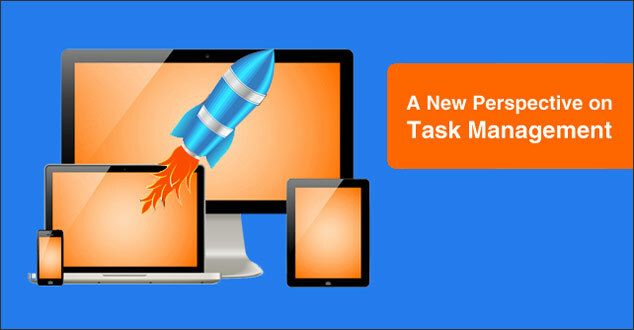 Are you looking for a way to get your tasks done all on time without forgetting any? Do you want to get everything done and get all the boxes checked? Todoist has you covered with productivity software to make completing the big stuff much simpler. Todoist was originally launched as software from a company called Doist in 2007. Doist is a company founded by Amir Salihefendic that specializes in productivity software for individuals and groups. Todoist Review: What can it do for you? Well first and foremost, Todoist, will help make your life easier. Plain and simple. Create projects for everything you do, to help make accomplishing the big tasks easier. Create a shopping list project, and invite your family members. This way the whole house can stay up to date on what is needed at the store. This is just one example of how Todoist can help. There are three different plans to choose from: Free, Premium, and Business. The free version of Todoist offers the ability to create projects and tasks with up to 5 users per project. Todoist Premium is an upgraded version that offers additional features including the ability to add reminders, upload files, the ability to have 25 users per project, and more for $29 per year. Todoist Business is beneficial to everyday business owners and their employees. With Todoist Business, you can do many of the amazing features mentioned above, all for your business. The price is $29 per year per user or $3 per user per month. It offers up to 50 users per project. Your Todoist is available on 15 different platforms for you to access anywhere on your office, in your home, in your pocket and more. With the ability to share tasks with anyone, whether they are at work or at home your tasks are sharable with whoever, so together you can accomplish your tasks and goals. Todoist makes your tasks appealing on every platform and is customizable to you in your life. Great features to help get the task done. Features help customize your to-do list to you, organize your life with different tasks and project abilities, all to help you get the most amount of tasks done. Organize your tasks even more by breaking big tasks into smaller sub-tasks. Break up big projects into smaller projects to make things easier. 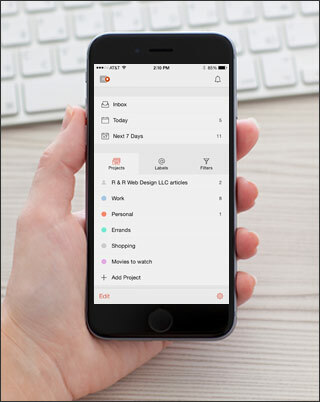 Todoist offers the ability to share projects with others, delegate tasks, and discuss tasks on any platform or device. Set reminders to never forget a task. Notifications are available when there are any changes through email or push notifications for premium and business plans. Set due dates using normal language. Todoist has the ability to pick up on normal language and set due dates, automatically. For example you can type “Friday at 4pm” and Todoist will understand and set the due date. Using normal language, you can easily set reoccurring dates like “every week at 1:00 pm”. Don’t worry about saving. Todoist does it for you across any device and platform automatically. You can focus on the important tasks with four levels of different priorities. Be able to see how productive you are. Todoist Karma lets you track how productive you are and see how productive you are over time. Delegation is made easy with Todoist Business. You can assign tasks to other coworkers. Also, make certain tasks a higher priority, so the important tasks get done first. As mentioned above, Todoist is on 15 different platforms, which makes it easy for you to access your tasks, anywhere and everywhere. If you need mobile access to your tasks, files and projects, there is no need to sweat, Todoist Business makes access everywhere simple and easy. “We have over 70 clients, which means that we have lean deadlines that must be followed exactly. The project and task delegation feature is extremely useful for both small and large challenges. And, since Todoist is on all platforms, we’re able to be productive anywhere!” Leandro Monteiro stated from RMA Comunicação Corporativa. Everyday people are using Todoist in their lives to accomplish their tasks and projects. Others like Jay Parikh from Florida, USA are writing their graduate thesis with Todoist. I personally plan on using Todoist to make my life a bit simpler as a college student. I will use it to set reminders about upcoming exams and put all my tasks that need to be accomplished in the app, organized into different projects for different classes. I know Todoist will help me stay on top of my tasks and get the job done. I hope Todoist is able to do the same for you personally or your business. If you would like to give Todoist a test run, you can download it to your desktop, mobile device and any other device you have. Visit Todoist’s website to learn about how to get Todoist on 15 different platforms. Start accomplishing more projects by using Todoist to help break the big projects down into tasks to help you get the job done. Do you see Todoist being beneficial for you personally or in your business? What are your thoughts about Todoist? I am not being or is R & R Web Design LLC compensated for this product review about Todoist. In addition, I am not, nor is R & R Web Design LLC, an affiliate. Great post Chloe! Looks like a cool tool. I am going to try Todoist for myself. I am so glad to hear that you like Chloe’s posts. I’ve been using Todoist for some time now and love it. Please let us know what you think if you do get a chance to try it.